Dental health has always been a big deal for me. My moms side of the family has pretty good teeth chemistry but my dads side is horrendous (as in, most of my aunts and uncles have fake teeth!). Unfortunately for me, I think I got my dad’s genes. Before I even reached preschool I was being put under for tooth surgery and silver caps (agh!). Our families dental bills were so expensive that my mom finally offered $100 dollars to each of us if we didn’t have any cavities at our 6 month checkups. Well, you can bet that motivated me as a little girl! I brushed and flossed every day and watched as my siblings (who shall remain nameless 😉 ) hardly ever took care of their teeth. When it was time for our checkup, can you guess who came out of the office crying? ME! and who walked out with a hundred dollar smile? My non-flossing siblings. (I promise I’m not bitter… well… maybe a little) It got to the point where my dentist would beat around the bush to avoid saying I had a cavity and his assistant couldn’t take it anymore and would say, “oh, just say it! It’s a cavity!” We did this same routine for about 3 checkups before my mom finally felt sorry for me and banished the $100 dollar reward along with my siblings smug, cavity-free smile. Good Riddance. 2. Xylitol. Where to even begin! Xylitol has been clinically tested for over 25 years and has proved to be the greatest sweetener for your teeth. A sweetener that actually reduces the risk of tooth decay! The best part is that there is nothing artificial or fake about it and because it’s sweet it also has great flavor and no weird aftertaste (which makes it enjoyable for kids as well)! My family has been using the Spry Dental Defense System from Xlear for years and I’ve personally seen the benefits in my own dental health (no cavities for once!!). Also, I don’t know what it is about the regular store bought toothpastes I used to use, but I always had a gritty feeling on my teeth after (I’m paranoid with textures so it’s a big deal to me). I personally love the Xylitol toothpaste followed by their Mouthwash because it literally leaves my teeth feeling squeaky clean after. They also have some products specifically for infants and kids and even CANDY that your kids wont even know is actually benefiting them. *wink wink* You can also find their products on Amazon. 3. Oil Pulling. I have yet to try this but I keep hearing about it over and over and it’s benefits for dental and overall health! (also supposedly great for helping ease morning sickness). This article on facts vs. fiction of oil pulling gives more info and the how to on oil pulling. 4. Tooth Soap®. Soap for your teeth? You better believe it! I’ve only just recently discovered Tooth Soap® myself. It’s flouride free and organic, made with ingredients like organic coconut oil, Saponified Olea europaea, spring water and different essential oils. Tooth Soap® was kind enough to send us a few of their products to try out. 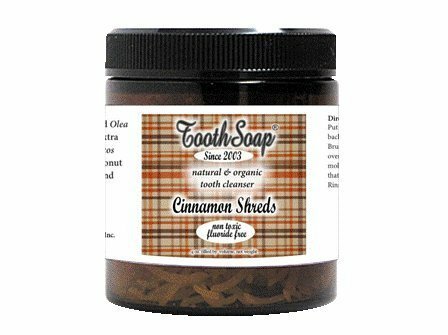 My husbands favorite was the Cinnamon Tooth Shreds. He came running into our bedroom and excitedly said, “Look!! It turns into foam once you start brushing!”. My personal favorite was the Peppermint Liquid Tooth Soap. It was so interesting to put soap on my toothbrush from a dropper bottle but it made my teeth feel amazing after! These were our favorites but you can choose from a variety of different soaps (whips, gels, liquid, shreds, etc…) and flavors! 5. Tongue Cleaner. Do you have any idea the amount of gunk that collects on your tongue throughout the day? Using a tongue cleaner to clear up that gunk will not only reduce bacteria and plaque on your teeth but will improve your taste! 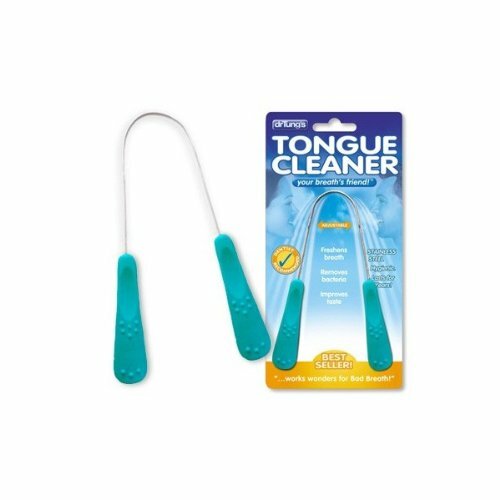 I’ve used a couple of different tongue cleaners, but my current favorite is Dr. Tungs Tongue Cleaner. It’s the #1 best seller on Amazon’s tongues brushes and scrapers category. It’s made of stainless steel and for some reason doesn’t make me gag like other tongue cleaners I’ve used. 6. Oral Irrigator. This is another family favorite. We use HydroFloss® Oral Irrigator and LOVE it. It works magic on getting the bacteria and plaque between your teeth and gums! I’ve always hated flossing because it takes so much time and energy, but all this requires is filling up the container with water and moving the jet tip around your teeth and gums. Easy Schmeezy! 7. Diet. We already know sugar can cause tooth decay, but did you know that Phytic Acid (found in grains, rice, corn, etc…) can also contribute to decay because it TAKES OUT the important minerals that our teeth need to be strong (calcium, magnesium, phosphorus)? But what things in our diet can help PREVENT tooth decay and how can we still have nuts and seeds without worrying about the Phytic Acid?? I loved this article by The Paleo Mama. She explains how she added Vitamins A , D, E & K, Calcium, and Fermented Cod Liver Oil (to name just a few) to her diet and tried soaking her nuts and seeds. If you want more examples of the types of food she ate read her article, How I’m Healing My Cavities Without Dentistry. 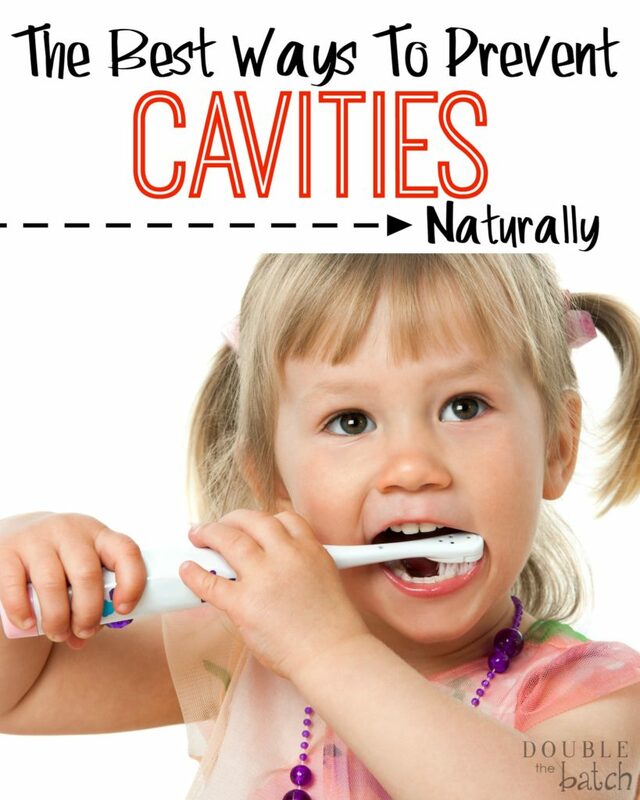 What Natural Methods Do YOU Use to Prevent Tooth Decay?